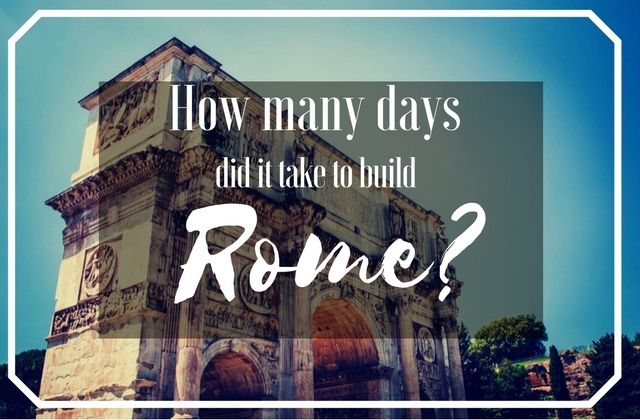 How Many Days Did It Take to Build Rome? But when last month I stayed up all night, telling myself the same thing, it got me to wonder - How many days did it really take to build Rome? When I started searching for that online, I realized the world renowned city which was founded in 753 BC, is still kind of in the construction phase. Because, the work never stopped. And then it hit me - The work really never stops. If you really want to build something as magnificent and grand as Rome, if you want to create something which stands tall and makes you beam with pride, then you have to be ready to give that much time into it. And then - BAM ! Something f-ks up again. I do realize this is my own doing, I chose this freelancer life but some times, I do miss not being worried about work so much. Yes, the work will never stop but so shouldn't your will power. I have noticed that the only time I stop writing is when I get super nervous about the outcome, or when I take some criticism too seriously. But you know what I have come to realize - I won't know if I can do something, until I actually try. I could speculate, plan out things, make Google Sheets or cards on Trello but until I get to writing, I won't know if I can do it or not. I have also come to realize that staying up all night really gets me nowhere, all it does is make me dizzy the next day. So, I have decided to not push myself about deadlines so much and let go a little. Writing is my passion, and I am lucky to have made that into a profession but I don't won't to push it to a place where I feel burdened by it. Like they say, "success is the sum of your all small efforts, day in day out." Love the post. 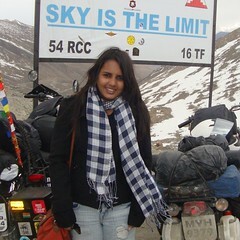 Well frameworked Ritika! All the very best!